You can see improvement in Feleipe Franks, in game-planning, and in special teams, but at the end of the day you have a team that is full of holes in talented depth, development, and strength. You have a team that despite how good Mullen’s record was at Mississippi State was still a four-win team last year that lost some valuable depth and production to the draft – and has been replaced by a lot of potential, but not a lot of production. You see, this Florida team that lost to Kentucky, was the same team that escaped in overtime two years ago and won with two uncovered, blown coverages last year. Despite the fact that Florida probably should have one because they have more “on paper” talent, Kentucky has played Florida close three of the last four years and when you have 20 missed tackles, a field goal call go awry, and a running game that could not get going behind an offensive line that struggled throughout – it is no surprise Florida lost. I do not believe that this loss is the season for the Gators because the longer the season goes on, the more positive we see of Mullen and his ability to develop and the less of the McElwain footprint we will see. As we do weekly, win or loss, we go over the numbers and try to piece together the Florida Gators game. We should get the bad out of the way, I guess. The Gators were held under 150 yards rushing (128) for the fourth time in six games. They did that to end the 2016 season as well. This was the first time since the infamous 2014 game against Georgia Southern that the Gators allowed more than 300 yards rushing (303). They have also allowed more than five yards per rush in two consecutive games since Florida State and Alabama in 2016. 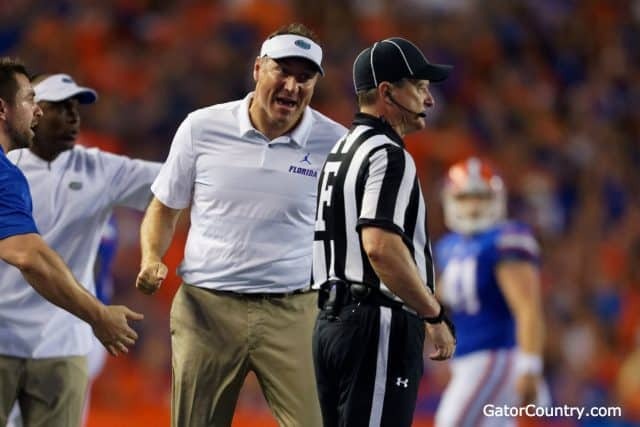 It is also the third time in seven games the Gators did not have a sack – despite the highly touted defensive line. The 7.96 yards per play was the second most they have allowed in a game (Georgia, 2017) in the last 10 years. The Gators are only averaging 1.1 yards per carry in the redzone this season on 10 carries. Feleipe Franks is just 18-of-40 on the season when the Gators are tied or losing. The Gators missed their first field goal in 13 games. The Gators allowed Kentucky to convert on 69% of first downs – their worst percentage since 2014 against Alabama. The Gators have held an opponent to under 200 yards passing for the 7th time in nine games. The Gators have thrown multiple touchdowns four games in a row for the first time since 2008. It’s back to the drawing board for the Florida Gators with a lot to work on, between the offensive line, defensive line, linebacking corp, and a host of other areas that just looked off on Saturday – and you know, what it happens, it’s still early, and the season isn’t over.